SW-MOTECH Quick-Lock GPS Mount positions the GPS so that it does not obscure your instruments. 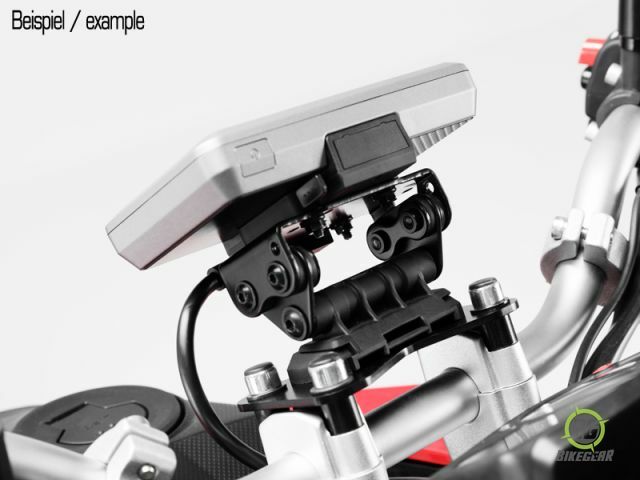 This bike-specific electronics mount is outfitted with quick-disconnect and vibration damped mechanisms. 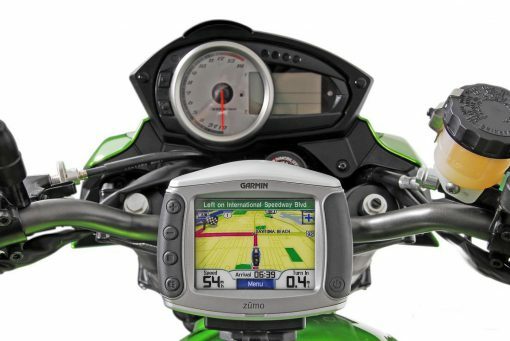 Will hold any RAM-B-238-compatible RAM Mount, Garmin Zumo GPS, TomTom Rider GPS, or a Bags-Connection GPS or PDA pocket. 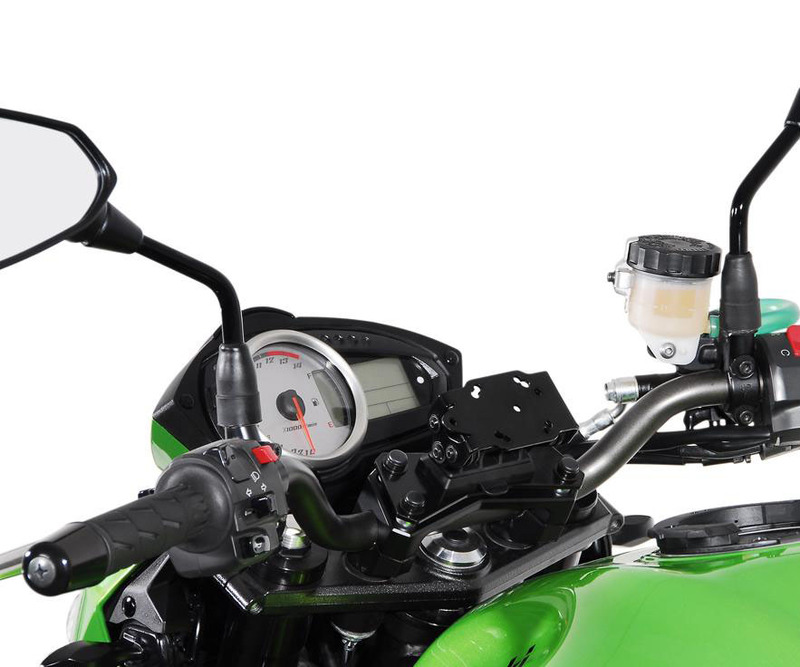 The GPS holder positions the GPS so that it does not obscure your instruments. 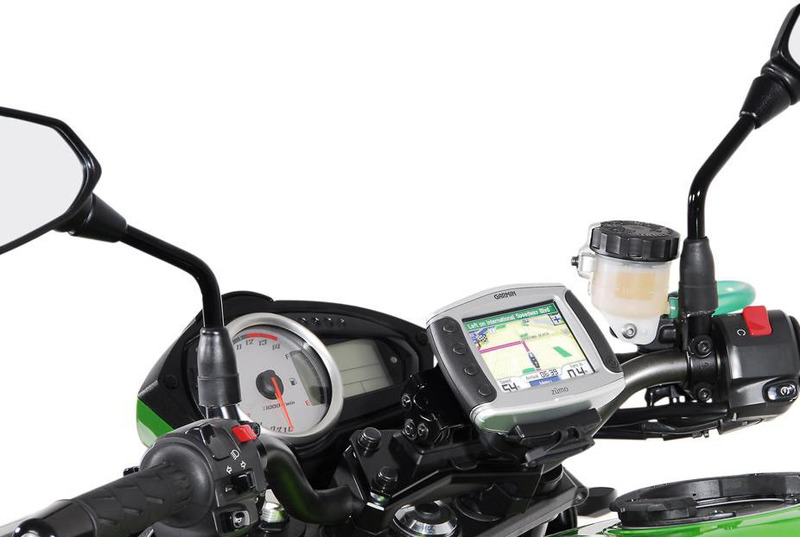 Please note: This GPS holder is designed to be installed without handlebar risers. Quick-Lock GPS Mount by SW-Motech. Mounts at the handlebar fixing screws. 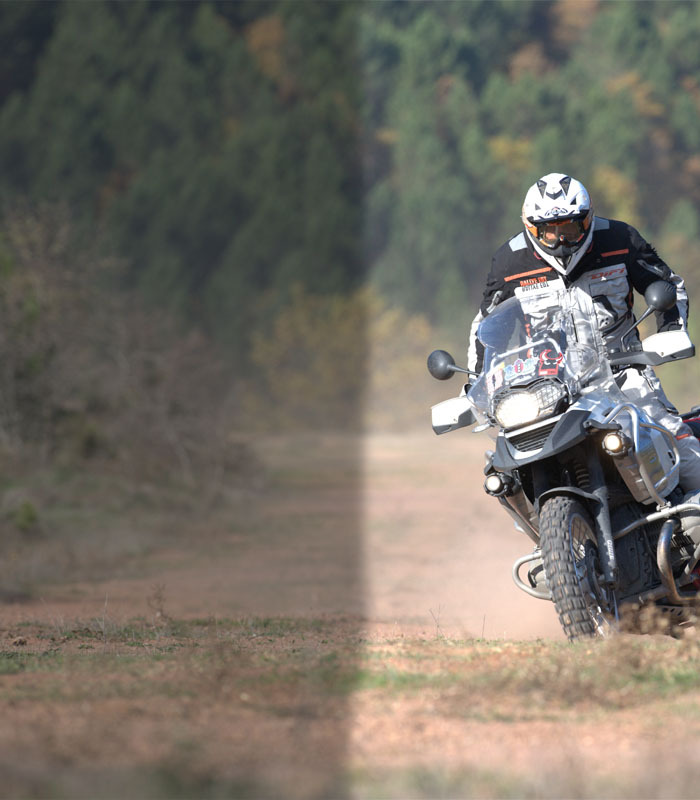 GPS Bags can be found here.